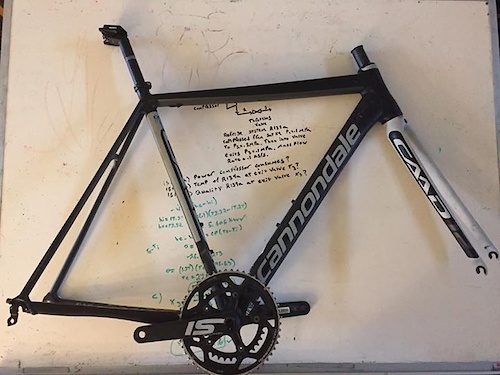 Size 54, 2016 Cannondale Caad12 with about 550 miles on it. The steer tube has been cut. Frame, seat post, headset, fork, seat post, bb, and crankset included. There are a few marks here and there from riding, but nothing major. Will ship frameset at buyers expense. 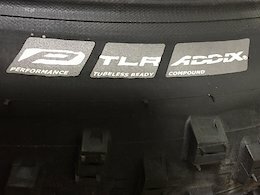 Brand new tire can ship at buyers expense. 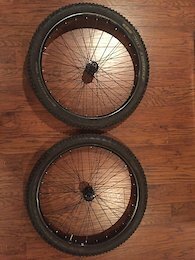 27.5+ wheel set taken off a 2018 trek fuel ex 5. Includes 148 boost rear and 110 boost front set up tubeless. I can throw the two inner tubes in as well. The front has a nobby nic 2.8 ADDIX, the rear has a 2.8 nobby nic pace star snakeskin easy. Rode on them for one season so, some scratches on the rims from normal riding, but no dents at all. Worst of it depicted bellow on the front wheel. 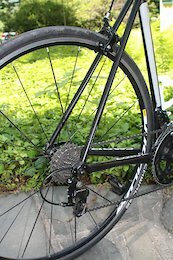 Has a Shimano free hub. Will ship at buyers expense.